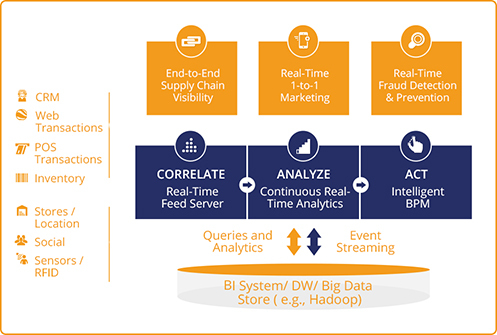 Streaming Analytics for Retailers – Why It’s Important? Vitria Operational Intelligence (OI) empowers retailers to quickly act on insights gleaned from streaming data and information – while it still counts. It brings together state-of-the-art stream processing, real-time analytics, visual dashboards, and business process management capabilities into one unified platform to help retailers take immediate process-based action on the discovered insights.